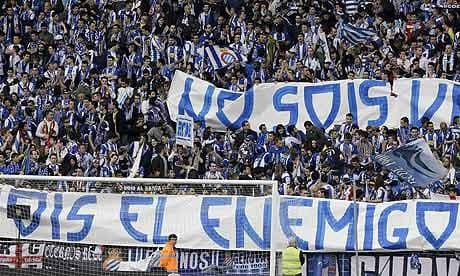 Espanyol lives in the shadow of city rival Barcelona but it deserves top billing on Sunday 29 September 2013 as it is the best bet of the football games scheduled for that day. Barcelona’s second team, the Budgies, has made a solid start to the Spanish La Liga season, making early noises that it is a chance to be the best of the rest, with Barca and Real Madrid enjoying massive advantages over their domestic rivals because of gross television revenue inequity and Atletico Madrid having recruited well to maintain its position as the third strongest side in the division. Espanyol is at home to Getafe next and it is trading at odds of 1.91 with Coral. Odds of about 1.75 would be more appropriate given Espanyol’s home results so far have been a 3-1 win over Valencia, a 0-0 draw with Betis and a 3-2 defeat of Bilbao, whereas Getafe’s three away efforts have produced zero points from matches versus Sociedad (0-2), Valladolid (0-1) and Real Madrid (1-4). Staying in the Spanish La Liga and Celta is a viable option at odds of 1.95 with bookmaker BetVictor, to end its run of three home draws with a win over promoted Elche. Celta has drawn with Espanyol, Granada and Villarreal in front of its own fans this term but Elche, bottom of the ladder in spite of a relatively soft early draw that has seen it play only one team above halfway after six rounds, is the weakest side to walk into its lair. Elche had a midweek fixture against Real Madrid while Celta was resting so the latter should be fresher and primed to extend its unbeaten home record with a victory. Both Verona and Livorno have made excellent starts to life in Italian Serie A following promotion from Italian Serie B, with the less said about Sassuolo the better. Verona hosts Livorno in round six and the home team appeals at odds of 2.00 with BetVictor. Verona has been victorious in its two home games and its two away losses have been at the feet of high-flying Roma (0-3) and Juventus (1-2). That Livorno is on a four-match unbeaten run is a fact but one has to take into account its pretty soft schedule since losing 0-2 at Roma. Verona took four points from its two Italian Serie B matches versus Livorno last term and most neutral observers would say that Verona has improved its roster more substantially than Livorno since then. Finally, English Premier League side Stoke is doing its best to change opinions by implementing a passing game under Mark Hughes that is the antithesis of the direct approach that the Potters used under Tony Pulis, albeit to success. Stoke is playing sexier football but the Potters remain without a cutting edge and that is sufficient to put one off backing them at common odds of 2.00 to beat Norwich at the Britannia Stadium. But what does appeal is a bet on the match going under two and a half goals at 1.70 with BetVictor. Three of Stoke’s five English Premier League games have gone under two and a half goals, while Norwich has been involved in four such matches. Another positive for this punt is that Norwich has failed to score in either of its top-flight road games, with the Canaries being the equal lowest scorers in the division. Maybe Norwich is missing Grant Holt more than it thought that it would when he left Carrow Road in the summer to link up with English Championship side Wigan. Both of last season’s English Premier League matches between Stoke and Norwich featured only one goal, with Charlie Adam netting the home winner for the Potters and Bradley Johnson making the day of the Canaries in Norfolk. Indeed, under two and a half goals has paid out in each of the last five games between Stoke and Norwich dating back to March 2008. Keep an eye out for Norwich news because the suggested bet would be even better if Ricky van Wolfswinkel, the striker whom Canaries manager Chris Hughton signed to replace Holt, does not line up because of his niggling toe injury.